Earlier this year, my friend Yeong-Choy Kam and I published a paper based on an experiment I conducted in his lab over ten years ago in Taiwan. Time flies! 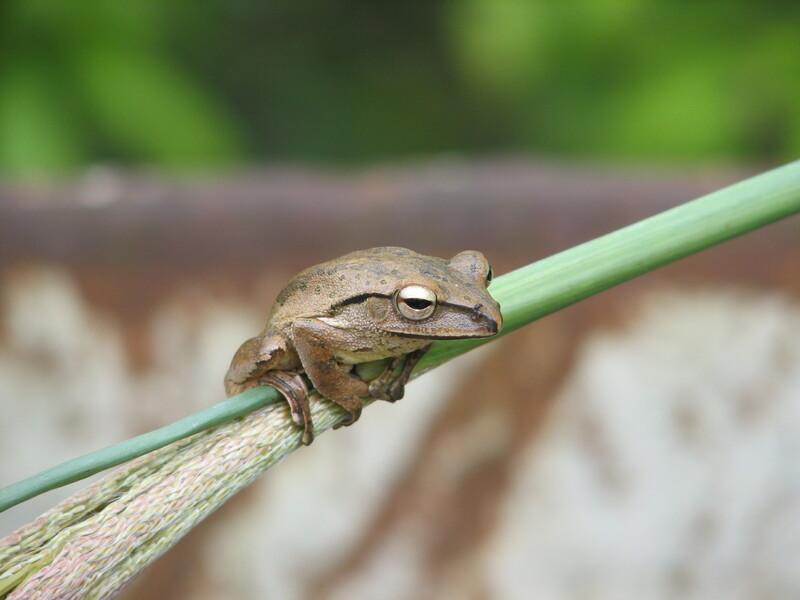 Previously, there had been anecdotal reports of cannibalism in the tadpoles of Polypedates braueri (a large Taiwanese tree frog, see photo below) but no one had tested whether it occurred under controlled conditions. So, we set up a simple experiment where we varied the level of food and the density of tadpoles, expecting that if cannibalism occurs, it should most likely be observed under low food and high density conditions. We did not observe any cannibalism in any of our experimental treatments, suggesting that cannibalism may not actually occur in this species after all (or at least under the conditions we examined). This was published in the journal Current Herpetology. Glad to have this out, even though it took ten years! Lehtinen, R.M. and Y.-C. Kam. 2017. 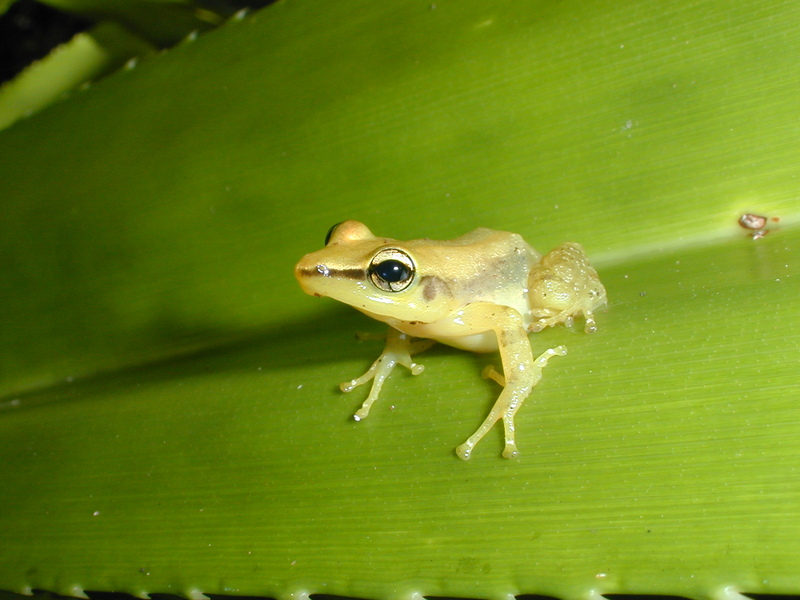 No experimental evidence for cannibalism in tadpoles of a rhacophorid treefrog, Polypedates braueri. Current Herpetology 36: 54–57. 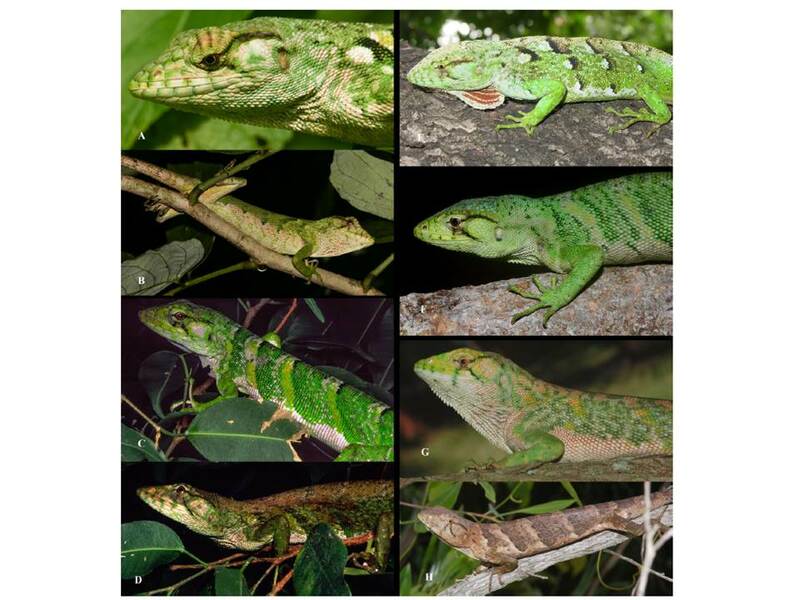 Recently, several colleagues and I published a new taxonomic paper entitled “Cryptic multicolored lizards in the Polychrus marmoratus Group (Squamata: Sauria: Polychrotidae) and the status of Leiolepis auduboni Hallowell) in the journal Amphibian and Reptile Conservation. This paper re-validates an old name for a species of monkey lizards (genus Polychrus) from Venezuela and Trinidad and Tobago. These colorful lizards are found throughout much of South America but the actual diversity within this group has not yet been carefully studied. Wooster grad Patrick Brennan (‘13) generated the DNA sequences on which a portion of this work in based for his Independent Study thesis. Other unrecognized species likely exist in this group, so our work is not done. Congrats Patrick! The olm is a cave specialized salamander that lives all of its life in subterranean waters in a few areas of eastern Europe. Most individuals are unpigmented and the eyes are poorly developed, typically being covered by skin. Not surprisingly, they do not use their visual sense much but chemo-reception, mechano-reception and electro-reception are all well developed. The olm also exhibits neoteny, that is, it retains many larval features throughout its life (gills, lateral line neuromasts, etc.) and there is no real metamorphosis (AmphibiaWeb, 2014). A captive colony of olms in France that has been studied for over 50 years has revealed an extremely long life span. 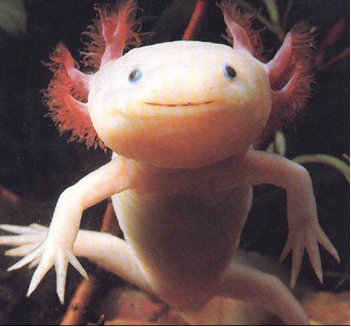 The average adult in this population is approximately 68 years old and the maximum life span has been estimated at over 100 years, making the olm the amphibian with the longest known lifespan. Sexual maturity is not obtained until approximately 15 years (similar to humans) and olms only reproduce once every decade or so thereafter (Voituron et al. 2010). Given its restricted geographic distribution and specialized habitat, olms can be threatened by water pollution if underground waters become contaminated. 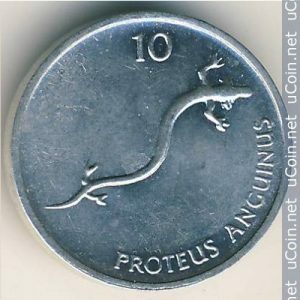 Slovenia has honored this special salamander by its placement on one of its coins. AmphibiaWeb 2014 Proteus anguinus: Olm <http://amphibiaweb.org/species/4229> University of California, Berkeley, CA, USA. Accessed Dec 22, 2016. Voituron, Y., de Fraipont, M., Issartel, J., Guillaume, O., and Clobert, J. (2010). ”Extreme lifespan of the human fish (Proteus anguinus): a challenge for ageing mechanisms .” Biology Letters, Published online before print July 21, 2010, doi: 10.1098/rsbl.2010.0539. Earlier in November, our last Salamander Squad outing nabbed four different species (red-backed, ravine, slimy and northern two-lined salamanders) at Wooster Memorial Park. We had three outings this fall and overall a couple dozen people came out to help us find these interesting critters. If you missed us this year, we’ll be going out again in spring 2017!